#167. Near Asnieres, Paris. 15 x 22, oil on panel. "Gilbert Munger" lower left. Similar to painting #188. 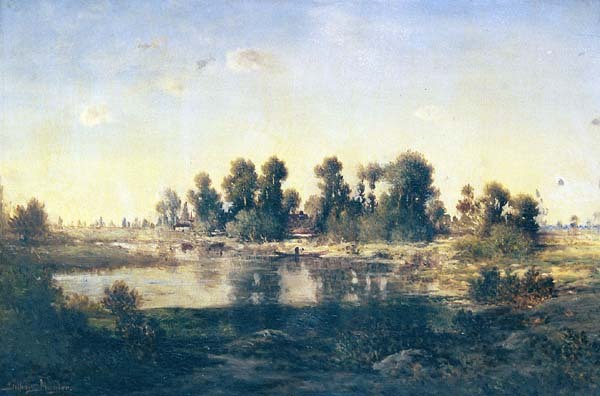 A label states "No 3, Near Asniers Paris, Gilbert Munger". A Baltimore Museum of Art sticker "L.28.8.9" indicates it was loaned to the museum in 1928. Paintings #25, #38, and #99 have similar stickers. The reverse shows an "E. Mary & Fils; 26 Rue Chaptel; PARIS" stamp. 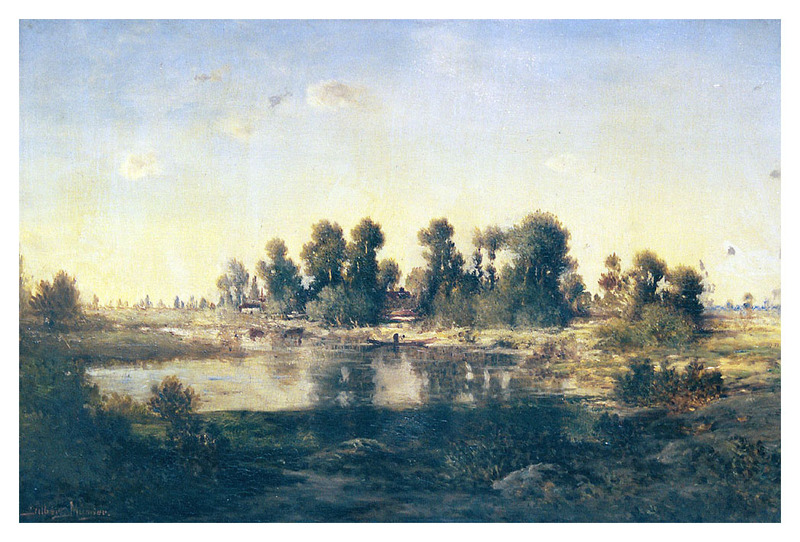 From Munger's estate to friend James Cresap Sprigg, through the family until 1999, then to a private collection. Image from author's photo.